To develop a Conservation Subdivision consisting of 7 custom home lots while preserving a unique and valuable 4 acre open space parcel on the remaining area of this 5.85 acre site. Provided design, permitting and associated services to move the project through the design and approvals process. This property was formerly undeveloped and now serves as a natural gateway from I-295 to the surrounding neighborhoods. 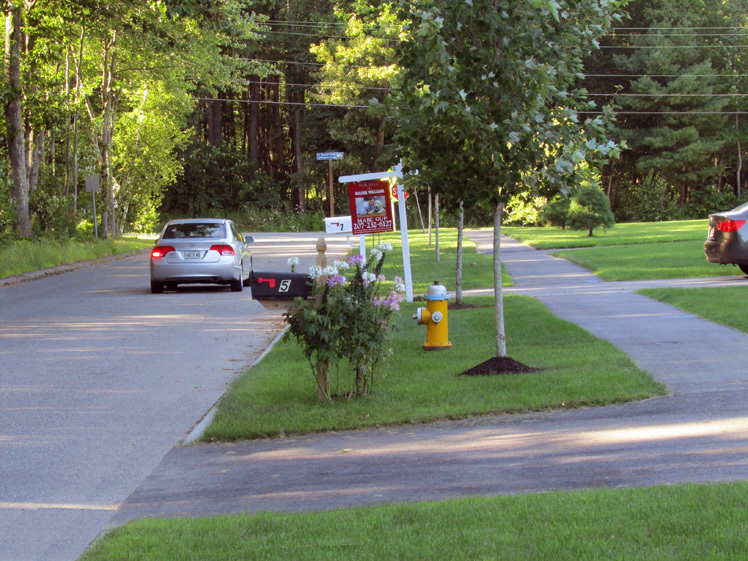 To better conform to typical neighborhood standards, Greenacres Lane was significantly reduced in width which allowed for the addition of a 5'esplanade with trees and a 5' sidewalk. This effectively reduced the impervious area of the street by 25% and provided the benefit of traffic calming.